Over the course of three decades, Jackson Browne has written and performed some of the most literate, moving songs in popular music. With classic albums like Late For The Sky, The Pretender, Running On Empty, and For Everyman and songs like “Doctor My Eyes,” “The Pretender,” and “Lives In The Balance,” he has defined a genre of songwriting that is charged with honesty, emotion and personal politics. Along the way, he has touched the hearts and minds of countless fans worldwide. Jackson has always been one to chart his own direction, and he has managed to succeed on his own terms for more than thirty years. Tracing the earliest roots of his career leads to the mid-‘60s L.A. folk circuit, where he drifted through a brief stint with the Nitty Gritty Dirt Band. Born in Germany to American parents, Jackson moved to Los Angeles at age 3, and, except for a short time living and working in New York City in the late 1960s, has always remained a Southern Californian. The 1972 long-awaited debut album, Jackson Browne, introduced ten original songs, including “Rock Me On The Water,” and “Jamaica Say You Will,” that generated a highly charged, compelling atmosphere throughout. His 1973 follow-up, For Everyman, was described by Rolling Stone magazine as “brilliantly conceived” and “incomparably immediate;” the album included “Take It Easy,” co-written with Glen Frey, which became The Eagles’ breakthrough hit. 1974’s Late For The Sky—considered one of ‘The Best 100 Albums’ of all time by Rolling Stone—was Jackson’s revered masterpiece of lyrical introspection. Followed two years later, The Pretender was a breakthrough album—Jackson’s first to chart in the Top 10. On the heels of that success came what stands as Jackson’s top-selling album, 1977’s ultimately seven-times platinum, life-on-the-road concept opus Running On Empty. As critic Paul Nelson pointed out at that time, Running On Empty plays like a documentary film, with shifting scenes, a cast of supporting characters and a clear narrative arc. Recorded onstage, in hotel rooms, and on a tour bus, Jackson deftly captured some of the mise-en-scene of road life before a thousand MTV rockumentaries made such settings all too familiar. The album spun off two Top 40 hits—“Running On Empty” and “The Load Out/Stay”—and is currently being re-mixed in digital 5.1 stereo surround-sound for release in DVD-Audio format. I’m Alive was a striking return to the romantic subject matter that Jackson seemed to have abandoned. Released in 1993, and widely considered a career highlight—one reminiscent of Late For The Sky—found Jackson revisiting private matters of the heart and soul more thoroughly. On his 1996 release, Looking East, Jackson was looking less inward and focusing more on the troubles surrounding him. Many of the songs were written in collaboration with his band. 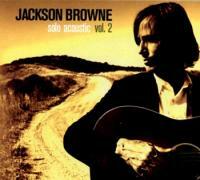 Jackson Browne’s longtime label, Elektra, released the single-disc overview The Next Voice You Hear: The Best of Jackson Browne in 1997, compiling singles and album cuts from throughout his career along with two new original songs. Though densely packed with gems, the disc is clearly not definitive—no one CD of Jackson’s work could be—and a comprehensive retrospective of his artistic legacy remains a future promise. Jackson’s 13th album, The Naked Ride Home was released in September 2002— his first album of all new songs since the 1996 release, Looking East. At once poetic and elegant, whimsical and heart-rending, spiritual and sad, the music on The Naked Ride Home catalogues the human condition with a grace and brilliance that have become trademarks of Jackson’s work. Produced by Jackson Browne and Kevin McCormick and mixed by Bob Clearmountain, The Naked Ride Home stands as the most eclectic album of Jackson’s 30-year career. Showing the confidence and poise of an artist who has outlasted the trends and continually beaten the odds, Jackson handles everything that comes his way on the new album with finesse and ease. The album, recorded in Los Angeles, has an intimate, live feel, which perfectly captures the mood of the material. The band includes Mark Goldenberg on electric guitar, Mauricio Lewak on drums, Kevin McCormick on bass, and Jeff Young on Hammond organ, piano and harmony vocals. 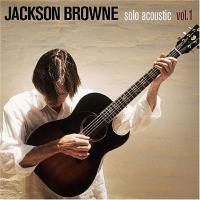 Jackson Browne plays acoustic and electric guitars, and piano. In February 2002, Jackson became the fourth recipient of the John Steinbeck Award during the centennial celebration of the California writer’s birth. The honor is bestowed to artists whose works best exemplify the environmental and social values of Steinbeck. The singer-songwriter joins a selective group that now includes filmmaker John Sayles, playwright Arthur Miller, musician Bruce Springsteen, and actor/author Studs Terkel. In 2004, Jackson was inducted into the Rock and Roll Hall of Fame. He also received an honorary Doctorate of Music from Occidental College in Los Angeles, and released The Very Best of Jackson Browne, featuring 32 songs that span his entire career. While by no means comprehensive, the collection of songs is a testament to the singer/songwriter—a man who cares as deeply about the human condition as he does about making unforgettable music. In that regard, Jackson Browne has been a fully matured artist – and human – for decades. 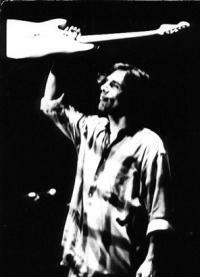 No artist in modern times has consistently shown as much awareness and concern for “outside things” as Jackson Browne. [2008-01-14] Jackson Browne og en akustisk gitar, igjen. [2005-08-23] Jackson Browne slipper første liveplate på 28 år.